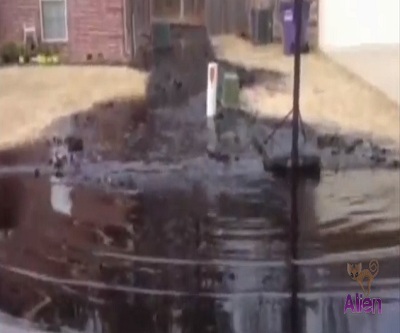 New footage of the Exxon Mobil oil spill in Mayflower, Arkansas shows a neighbourhood flooded with oil. The cameraman calls the smell "unbelievable" as he watches Canadian crude petroleum gurgle and slide its way down an entire street and into the drainage system. Cleanup efforts that began Saturday continued throughout today.